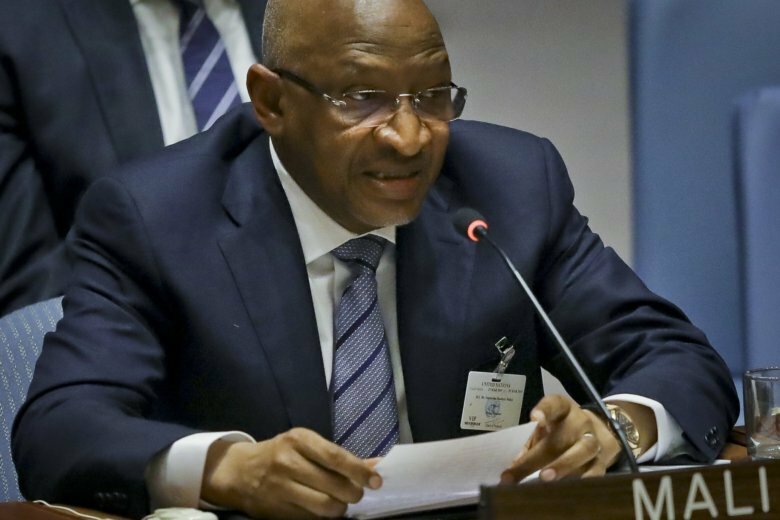 UNITED NATIONS (AP) — Mali’s prime minister urged the Security Council on Friday to maintain its more than 16,000-strong peacekeeping mission in the country, warning that any reduction will end up strengthening Islamic militants and endangering the “fragile progress” toward peace. Soumeylou Boubeye Maiga addressed the council after U.S. Undersecretary of State for Political Affairs David Hale expressed disappointment “at the lack of significant progress” toward implementing a 2015 peace deal and called for a re-evaluation of the peacekeeping mission. Hale asked Secretary-General Antonio Guterres to provide the council with options for “a significant adaptation” of the Mali force, known as MINUSMA, in time for negotiations on the renewal of its mandate, which expires in June. Mali has been in turmoil since a 2012 uprising prompted mutinous soldiers to overthrow the president of a decade. The power vacuum that was created ultimately led to an Islamic insurgency and a French-led war that ousted the jihadis from power in 2013. Insurgents remain active in the region and the West African nation is under threat from a number of extremist groups affiliated with al-Qaida and the Islamic State organization. Attacks have moved from the arid north to more populated central Mali and the peacekeeping mission, established in 2013, has become the U.N.’s deadliest. Maiga insisted that for the first time since the 2015 peace deal was signed, there has been “significant progress and a genuine impetus has been launched,” which requires MINUSMA’s continuing support. “Today MINUSMA provides essential services for fragile populations and helps in the rebuilding of the Malian state and is playing a key role in stabilizing the country,” he said. Reducing the mission “will have extremely negative consequences on the economic situation, which will lead in the end of the day to the strengthening of terrorist groups and a further worsening of the situation,” Maiga warned. Hale said slow progress in implementing the peace deal has affected the peacekeeping mission’s ability to carry out its mandate. This has put civilians, peacekeepers and international and Malian forces “at greater risk from terrorism as communal violence has spread throughout the region,” he said. The United States is also asking the secretary-general for a plan “that positions MINUSMA to address the security and counterterrorism environment, protect personnel, and support political progress more effectively than at present,” Hale said. France has its own force in Mali to combat extremists, but French Foreign Minister Jean-Yves Le Drian told the council that MINUSMA was “the only international presence” that can support the Malian government. Guterres warned that the security situation in central Mali is deteriorating rapidly. “Terrorist and militia groups are expanding and have become more agile and mobile,” he said. He urged the world’s nations to continue “full support to MINUSMA” but warned that military activity alone won’t resolve Mali’s challenges. “We can only prevent increased violence and instability by tackling root causes: poverty, climate change and competition for resources, underdevelopment and lack of opportunities for young people,” he said.